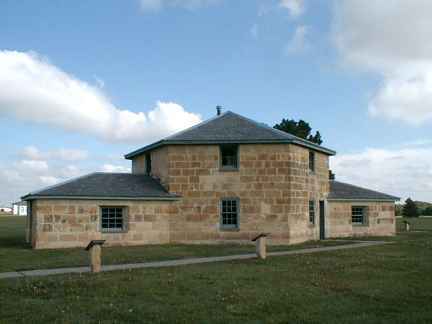 Fort Hays was an important U.S. Army post that was active from 1865 until 1889. 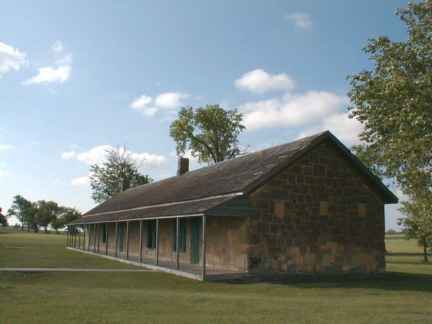 Originally located five miles south of present day Walker, Kansas, and called Fort Fletcher, the fort became operational in the fall of 1865. Troop duty was to protect the stage and freight wagons of the Butterfield Overland Despatch (BOD) traveling along the Smoky Hill Trail to Denver. But Southern Cheyenne and Sourthern Arapaho Indians continued to attack traffic which they felt intruded upon their homeland. The BOD went backrupt and the fort closed in spring 1866. 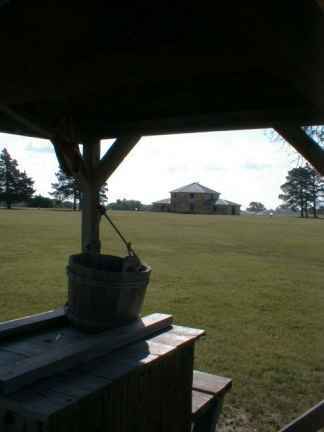 But in fall 1866 the fort reopened. Troops were needed to protect workers on the Union Pacific Railway, Easter Division, who were building rail lines westward. 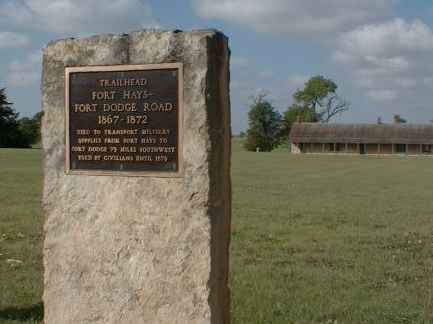 The fort moved closer to the rail lines and was renamed Fort Hays. 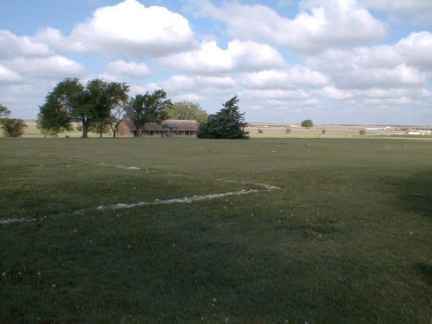 Hays City soon grew up nearby the fort. 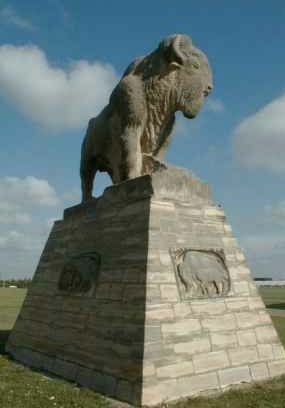 Additional troops were needed and Buffalo soldiers (black Infantry and Cavalry soldiers) were sent to the fort. Indians continued to object to the movement of the rail lines into prime buffalo country. Captain Geroge Armes encountered Cheyenne, Arapaho and Kiowa Indians under the leadership of the Kiowa chief Santanta during the battles of the Saline River and Prairie Dog Creek. Although the soldiers were vastly outnumbered in both battles, they inflicted heavy losses on the Indian forces while sustaining few casualities. Thus the fort played an important role in ensuring that the rail lines were completed. 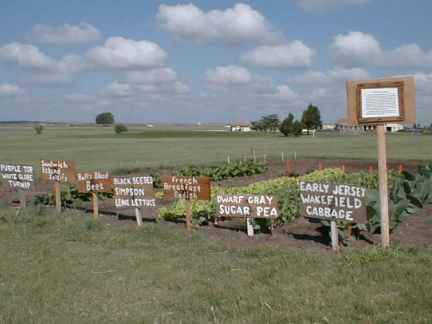 George Armstrong Custer was assigned to Fort Hays at one time. 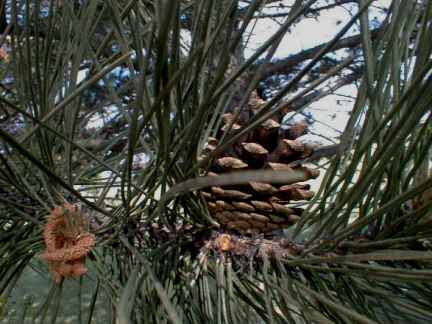 He was accompanied to the fort by his wife. 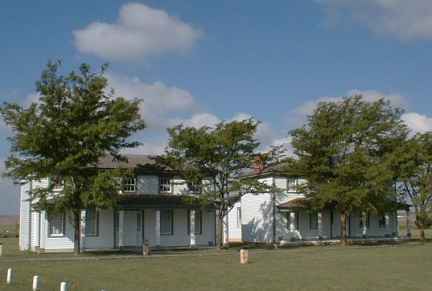 Their stay at Fort Hays helped to build reputations of both Custers.